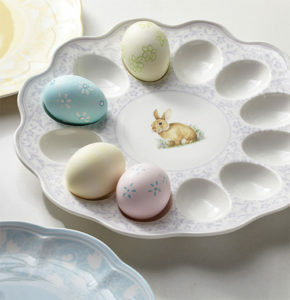 A segment of the database only purchases around holidays, such as Easter. The 130-year-old company is primarily known for fine china but also has significant lines of business in home décor and collectibles, such as holiday ornaments and figurines. The Lenox multichannel strategy includes email, catalogs and retail, as well as wholesale to partner such as Macy’s. The company had been maintaining two separate databases for transactions and customer information, and had a limited understanding of buyer behavior, notes Elizabeth Ragone, svp, direct to consumer, Lenox. Retail data was being kept separate from the email and catalog business, and stores were hesitant to help customers check online if they were out of stock on an item, for fear of losing the business. Ragone’s team brought in new marketing partners, to help mine customer data and understand who Lenox’s best customers were and learn more about their buying journey. The company had little insight into what people were buying first, and then what their next purchase would be, she notes. A single view of the customer was essential, because different customer segments behave in different ways—and present different revenue opportunities. After all, notes Ragone, a person buying champagne flutes for bridesmaids exhibits different behavior from someone buying an ornament for a new baby. Lenox needed to identify which channels had the most overlap, to see if there was anything to be gained by doing direct marketing to retail customers. The solution was a hub and spoke architecture that brought together customer information from ecommerce, retail, email, print, customer service and digital channels. This allowed the brand to determine if a purchase was a customer’s first or tenth, and whether they were buying once annually (such as for an anniversary or at Christmas), or if they were buying many items in a short period of time and then stopping (perhaps for a wedding). Lenox broke out customers into repeat active customers, lapsed active customers, single order customers and single order lapsed customers. Revenue for a 12 month period was analyzed, to see the marketing opportunities going forward. Surprisingly, says Godfrey, the potential revenue of lapsed repeat buyers was almost identical to single order customer actives. The challenge was to look at these targets and speak to them relevantly. Customers also broke out into two very distinct buckets: 58 percent purchased tabletop items only, such as china, while 24 percent purchased collectibles only. Only 18 percent of the file typically purchased both types of items. Traditionally in catalog spreads, the two types of items were being mixed, with decorative items interspersed with tableware. But the reality was that people simply weren’t buying both items, she notes. This led Lenox to develop personas for both types of buyers. The tabletop customer typically makes their first purchase in dinnerware and home decor. Dinnerware buyers have the highest future value of $53 over next 12 months, but have slightly lower repeat purchase rates. The first purchase of the collectibles customer is usually ornaments, but figurine buyers have the second highest future value over the next 12 months and higher repeat purchase rates. Some crossover exists but people often stay in their core category. Subcategories were also identified in each core. Dinnerware, for example, was divided into casual, fine and seasonal. 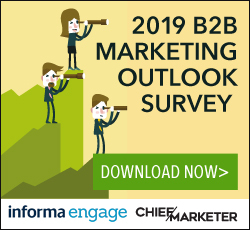 Analysis revealed that customers usually also stayed in their subcategory, suggesting that marketing dollars were better invested in increasing purchases in those subcategories rather than encouraging customers to try something different. Analysis helped Lenox identify numerous opportunism for marketing campaigns, including repeat buyer engagement; campaigns centering around annual events such as Christmas or weddings; best customer rewards; a multitouch welcome series; and reengagement. Lenox was also able to identify that there wasn’t a lot of crossover between customers who purchased from retail partners like Macys and those who purchased direct from the company. Ninety-five percent of customers who had received drop shipments had never purchased direct, and 70 percent of those who had purchased both via a retail partner and Lenox direct typically started with Lenox. This data helped Lenox show retail partners that Lenox’s direct sales weren’t necessarily competitive with their business, as Lenox worked to identify ways to support these partners’ initiatives to promote the brand, says Ragone.